Productivity2000 terminal block, 18-pin spring clamp. 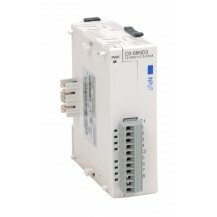 For use with 2-04AD, P2-04DA, P2-06RTD, P2-08AD-1, P2-08AD-2, P2-08DA-1, P2-08DA-2, P2-08NE3, P2-08TD1P, P2-08TD2P, P2-08THM, P2-08TRS, P2-8AD4DA-1, P2-8AD4DA-2, P2-16NA, P2-16NE3, P2-16TD1P, P2-16TD2P, and P2-16TR. 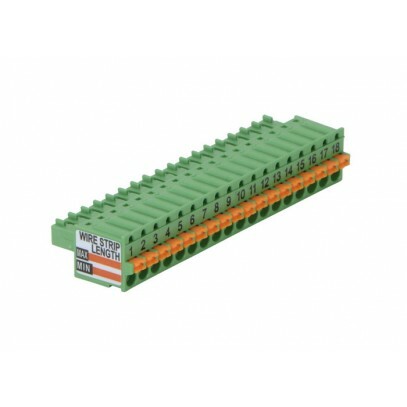 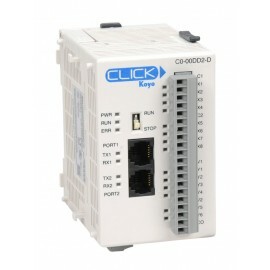 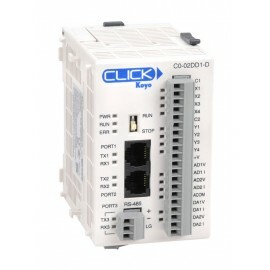 Terminal block must be purchased separate from I/O module.